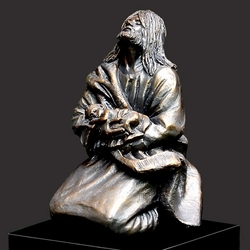 I Will Not Forget You is a Christian sculpture by master artist Timothy P. Schmalz. 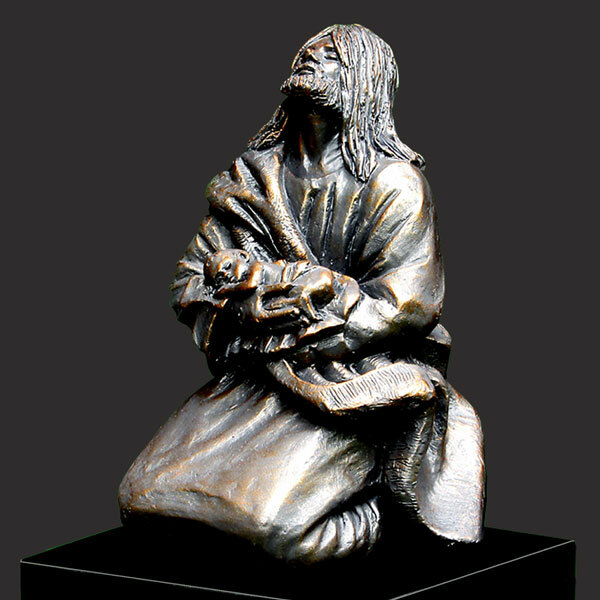 This sculpture is a visual representation of the love Jesus has for the unborn child. An unborn infant cradled in the arms of Jesus as He looks up to the heavens. This solid resin-stone cast is coated in a realistic bronze finish and is mounted on a solid matt black base. Timothy personally sculpts every original small masterpiece complete with his signature or monogram. Each replica is detailed by hand to the exacting standards of this modern day master sculptor.